STORY: A tournament held by Ultratech soon turns to a battle for survival. Fighters from agencies, temples, castles, labs, and outer space converge with different vendettas and a common goal: to be "Champion Of Ultratech". Incredibly memorable characters, stages, and music. 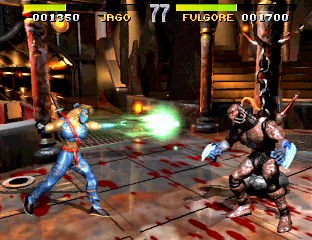 REVIEW: Killer Instinct was no doubt what you'd call a "next-gen 2D fighting game" in 1994. 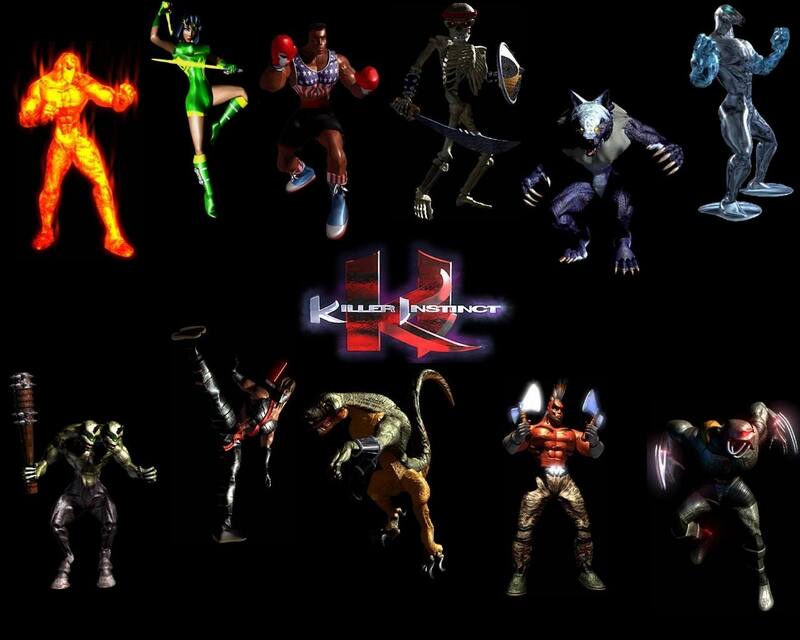 The "3D-like" digitized graphics and innovative camera work on the 3D backgrounds easily enabled KI to stand out in the crowded mid 90's arcades. 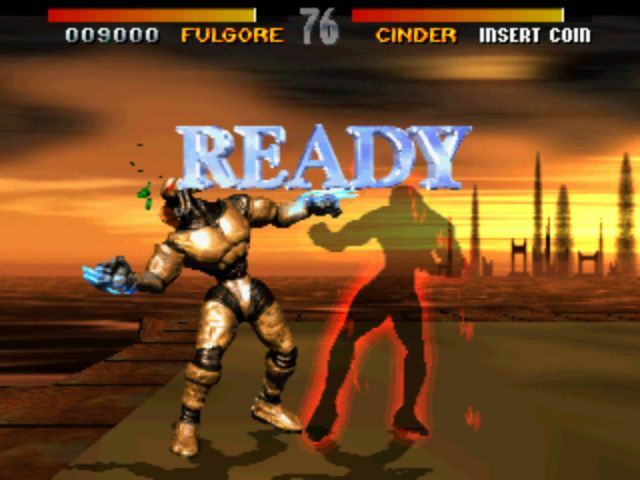 Furthermore, the gameplay engine presented the longest and most insane combos ever to be seen in a fighting game. 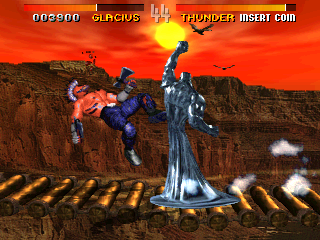 Inspired by the likes of Mortal Kombat, KI also features fatalities, stage fatalities, and "humiliations." 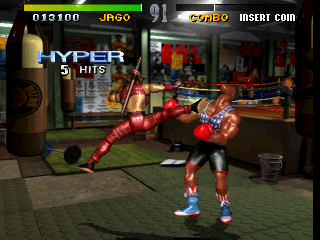 And if that's not enough, every fighter can finish the round with an Ultra Combo, which can be extended to upwards of 40-50 hits (or 100+ if you knew any infinites). Ulllltraaaaaa! 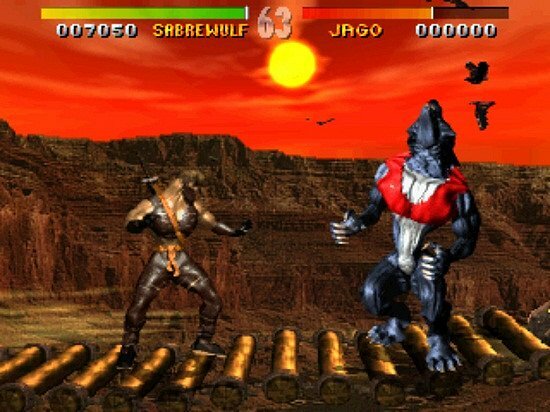 On that note, Killer Instinct definitely allowed players to punish their opponents more-so than any other fighting game at the time.... something I definitely, whole-heartedly loved about the game. 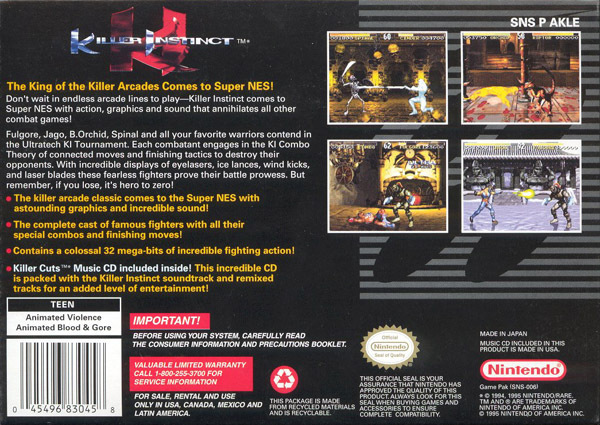 At it's debut, Killer Instinct might've seemed like a "rip off" type of fighting game. 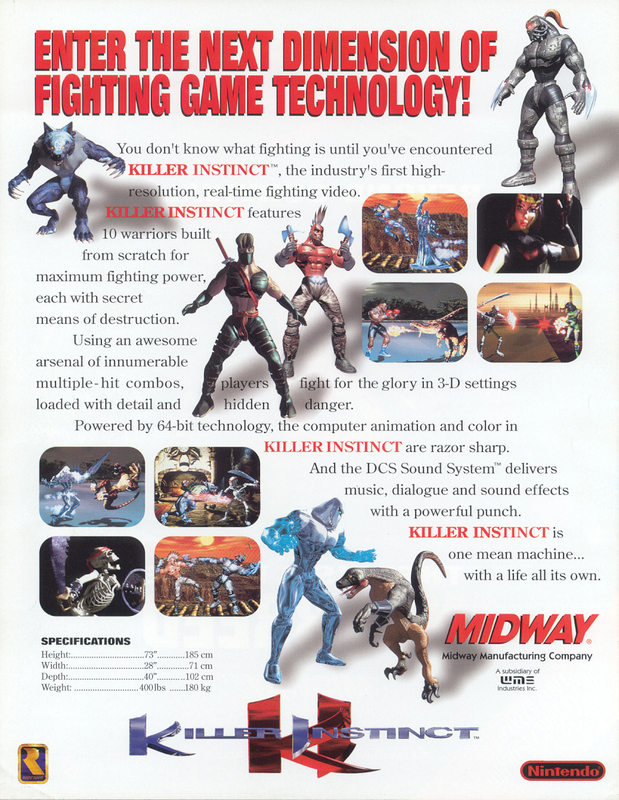 Firstly, because fighting games were getting pretty huge at the time (many were coming out), and secondly because KI shares many elements from both Street Fighter and Mortal Kombat. 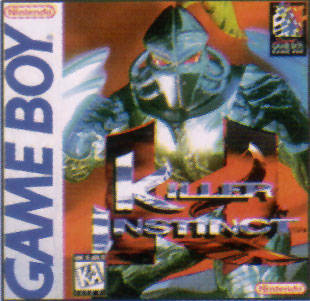 However, one can't deny that KI offered something completely different to the genre. 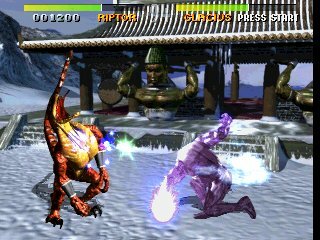 Killer Instinct's gameplay felt "new," and the game played considerably faster than the typical fighting game at the time... not to mention, more "combo oriented" than most. The most intense fighting game camera angles to date! 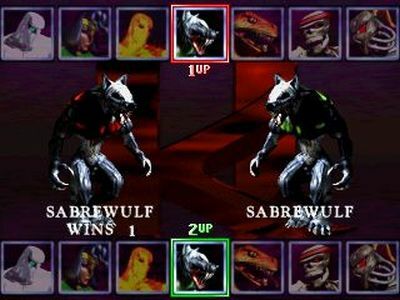 Along with unique play-styles and special moves, each fighter in Killer Instinct has a variety of ways to set up and finish combos. Every character also has their own ultra-stylish Ultra Combo (AKA finishing move), which can be unleashed when their opponent's health is low. 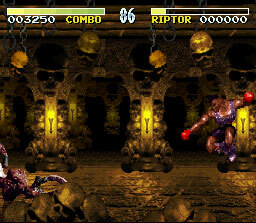 No doubt, these Ultra Combos never failed to wow the audience at the arcades. Although there is no "dash," all characters have a solid variety of special moves and abilities to get in for that initial attack. The 11 character designs are also very distinguished from one another, offering great variety. 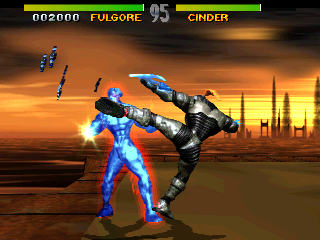 Killer Instinct also introduced Combo Breakers to the fighting genre. Straight up, Combo Breakers are pretty damn satisfying to perform (and look awesome). 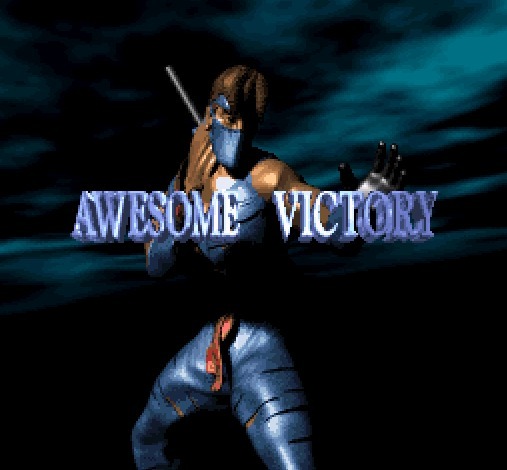 However, Combo Breakers probably caused 75% of all Killer Instinct cabinets to have to be repaired, since mashing random buttons and the directional pad actually worked quite well when trying to perform a breaker. 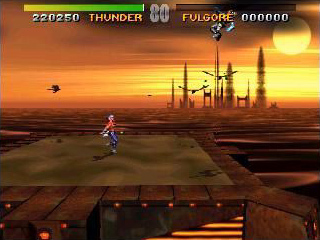 Killer Instinct also introduced the "double health meter". Instead of winning two rounds, each fighter starts the fight with two bars of energy. A brief pause occurs when a fighter loses their first bar, then the fight resumes. This unfamiliar "pace" of gameplay was yet another attribute made KI stand out. 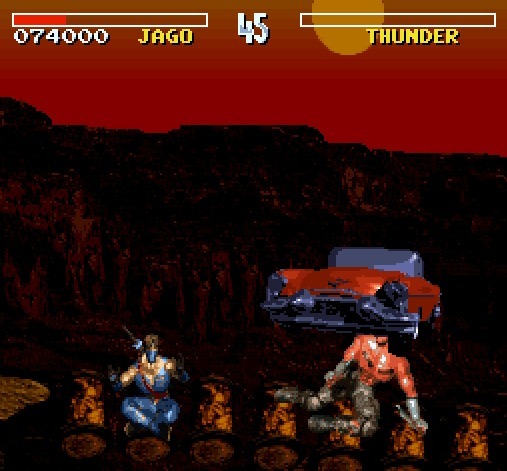 Additionally, after an initial K.O., a defeated player also has the chance to "revive" themselves if the victor doesn't land a finishing attack of some kind. 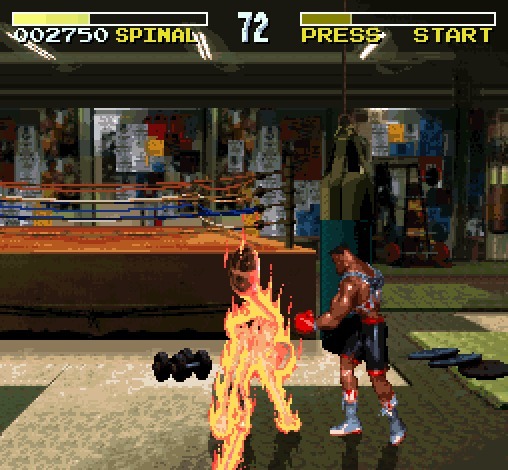 In some cases, this gives the victor an interesting option to let their opponent "stand up" and fight after a K.O... if perhaps they have enough health left to confidently defeat their opponent yet again. The SNES version just didn't have the same pop. The SNES port was decent for a console port at the time, but was downgraded heavily from the arcade version in graphics, sound, and also gameplay. 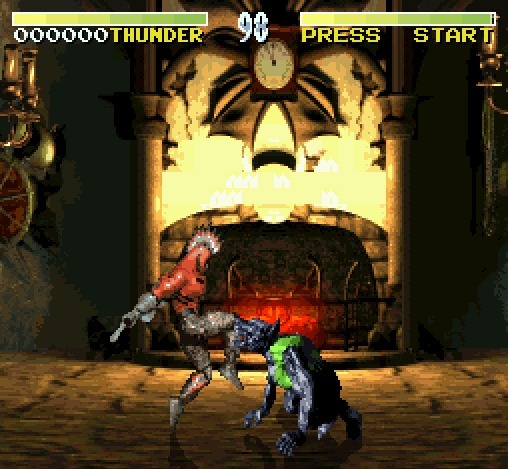 Many graphical effects were missing from the arcade version, such as the fully-animated, badass FMV character intro & victory sequences. In the arcade version, certain stages "panned back" extremely far allowing a ton of distance between the fighters, which could result in some pretty epically entertaining projectile wars. Also, when certain combos were performed on "building top" stages, the camera angle changes dramatically, showing a birds-eye view as a character is launched into the air - only to fall ALLLL the way back down and get hit a few more times. 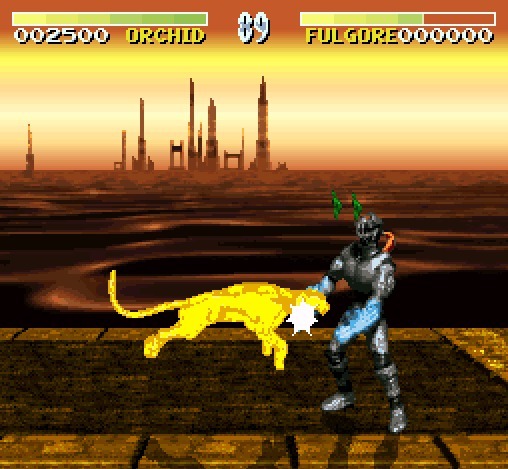 Unfortunately, these awesome effects didn't make the cut to the SNES version. The SNES port also featured significantly smaller character sprites which just didn't fill the screen like their arcade counterparts. 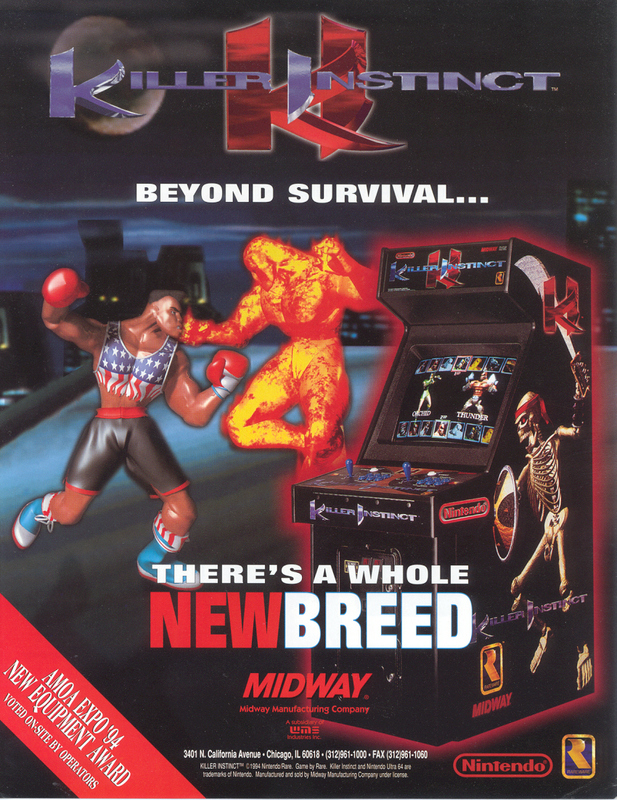 So basically, there's no substitute for the original arcade version of Killer Instinct. 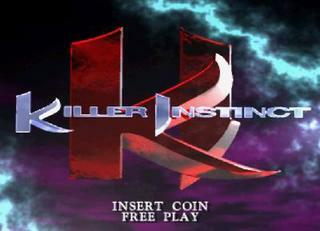 For an arcade game, KI was nothing short of a masterpiece. Each arcade cabinet also features a "highest combo record" for each character... and back in the day, any local player who could get their initials on there got major respect at the arcade. On a personal note, I remember a few guys at my arcade who spent the entire day there just trying to break their old records and keep the top spot. *sigh* I miss the 90's, such simpler times. 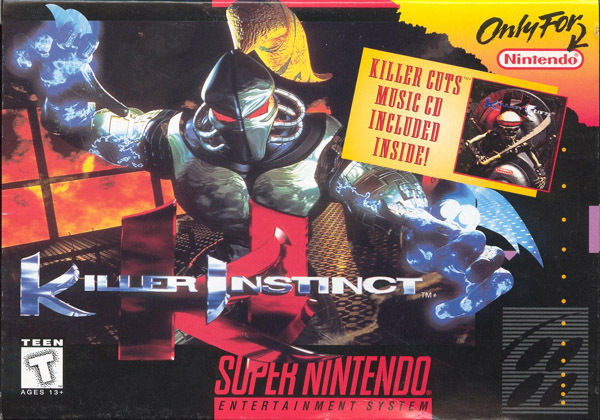 Finally, not to be under-appreciated, Killer Instinct also packs one of the best soundtracks in fighting game/video game history. The heavy, dark, guitar-driven BGMs fit the stages and the character personalities perfectly. The announcer also adds a certain "energy" to the game. The "epic" manner in which he says each character's name is especially memorable. I'd say the dude is one of the top 3 best fighting game announcers of all time (if not #1). 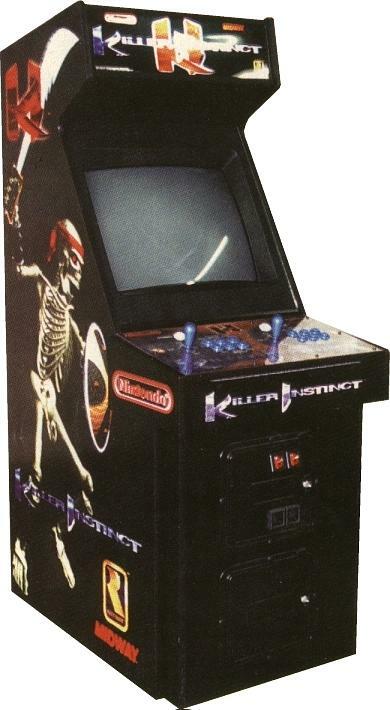 I have to admit... when I first saw Killer Instinct at my arcades (in 1994), I wasn't a fan. 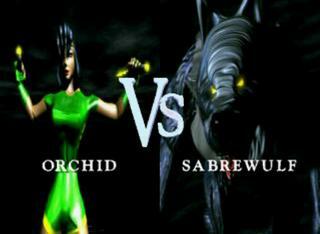 As an 11 year old Street Fighter/Mortal Kombat fan, I admit I ignorantly wrote off Killer Instinct as a "wannabe"... at first glance. A few weeks later, I realized how downright cool many of the characters were, and once I pulled off my first Ultra Combo... I was nothing short of hooked. Yes, I played the hell out of this game at the arcades in 1994-1996, and I anxiously awaited the SNES home port (picking it up day one and being surprised by a badass black cartridge). 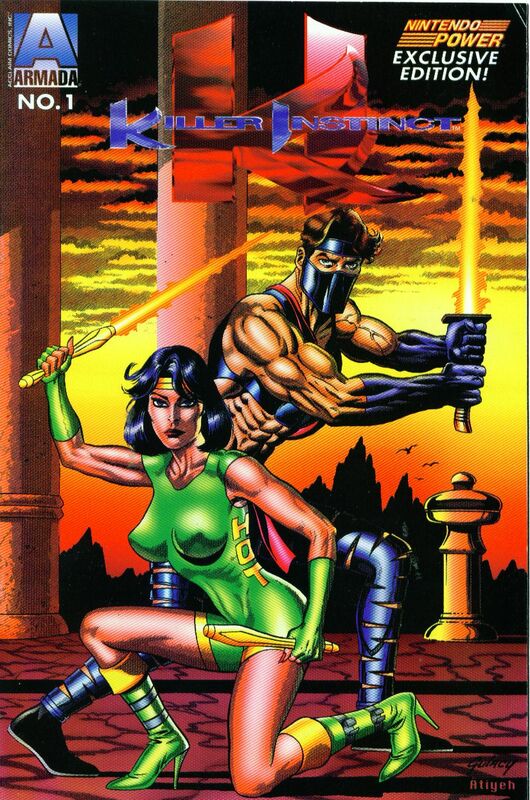 Even though the SNES version wasn't nearly as pretty as the arcade version, I still loved it. Actually, the half-assed home port made me appreciate how great the arcade version was even more.